Delivers almost twice the field of view at higher magnification compared to standard otoscopes, making it easier to visualize the auditory canal and tympanic membrane. This instrument is a significant advance in hand-held otoscope, providing an improved view for enhanced learning and decision making. 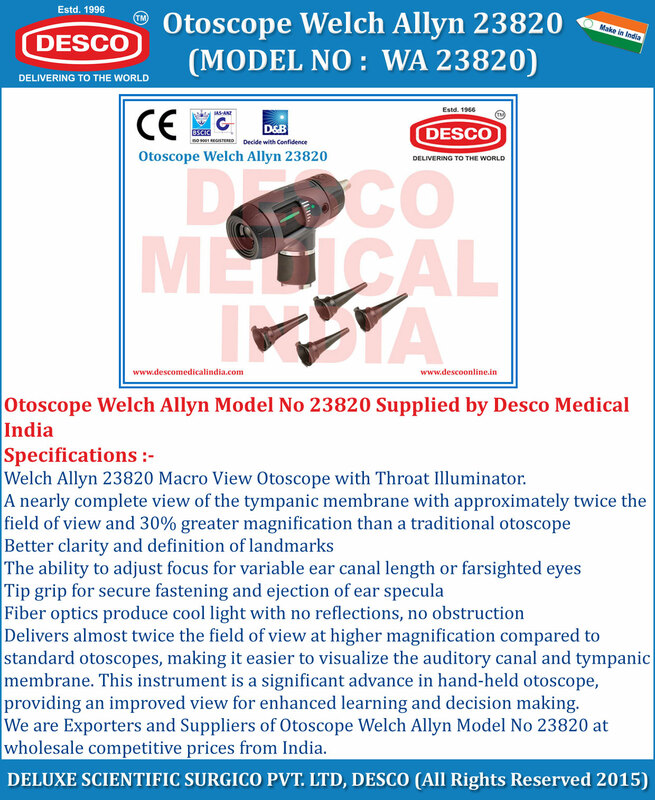 We are Exporters and Suppliers of Otoscope Welch Allyn Model No 23820 at wholesale competitive prices from India.